If you ask us, it doesn’t get more romantic than a classic garden-inspired wedding. 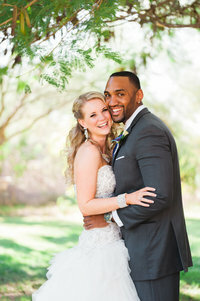 Amanda & Joshua were married March 24th at Trilogy at Vistancia in Peoria, Arizona. With the mountains lining the background of their ceremony, this incredible couple became husband and wife, united together through thick and thin. 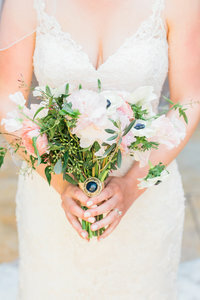 The stunning mix of whimsical florals and flowing fabric at their ceremony made this the perfect spring wedding! Amanda’s bridesmaids wore an array of bright pink gowns, which made the beautiful bouquets stand out even more! We absolutely adore the lace detail on Amanda’s wedding dress that matched the trim on her long, cathedral veil. 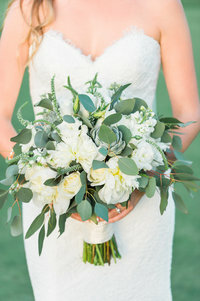 Trilogy at Vistancia was the perfect venue for their spring wedding! The ceremony overlooked the golf course and the reception was in their grand ballroom with an entire wall of windows looking across the desert view. Family & friends were filled with emotion throughout the day; pure happiness to see two amazing people come together in marriage. From Amanda’s beautiful and infectious smile and Joshua’s complete adoration for his bride, the joy and love present was overwhelming! It’s obvious when you see them together that this marriage was built on a strong foundation of trust and friendship. 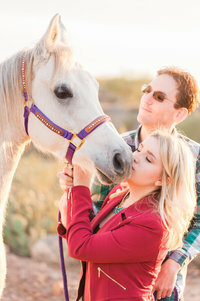 Congratulations, Amanda & Joshua! We wish you nothing but love and happiness! 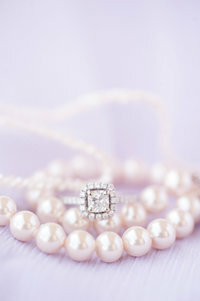 If you loved Amanda & Joshua’s wedding, you may also like our other weddings!